Reshaping the nose through rhinoplasty is a more common procedure than you might think. Both men and women are unhappy about particular aspects of their nose and request some changes to be made to them. The team at Genesis Plastic Surgery & Medical Spa is experienced and ready to make your rhinoplasty procedure a success. Call 405-340-9949 today to arrange your initial consultation with Dr. Panchal. We have offices in Edmond and Norman, Oklahoma. Why Choose Genesis Plastic Surgery? You may be a good candidate for nose surgery if you have very specific aspects of your nose that you would like changed. If you are unhappy with the appearance of your nose, the best way to determine if you are a good candidate is through a one-on-one consultation with Dr. Panchal. During this meeting, Dr. Panchal can assess your problem areas, listen to your concerns and help you determine if the procedure is right for you. Many of us have a minor hump over the nose, feel that the nose is too short, or that it projects too little or too much. In the past, these minor corrections have required surgery. You can now have these corrected by having a filler along the nasal bridge, on the tip, or in the area where the nose starts between the eyebrows. Dr. Panchal will first evaluate you and see whether or not your complaint can be addressed in a nonsurgical manner. If you have a minor hump, it can be made smooth by injecting a facial dermal filler. Similarly, if your nose is too short or projects too much, Dr. Panchal can inject some filler to just the origin of the nose, between the eyebrows to correct projection. This technique requires little to no downtime, no anesthesia, and no hospitalization. While some swelling may occur, this nonsurgical approach to nose reshaping will not produce bleeding or come with risks of infection. The most common approach to surgical nose reshaping is to make a small incision on your columella and then continue with this incision inside your nostrils. This incision allows Dr. Panchal to examine the tip and the bridge of your nose. He often exposes the septum in order to take some cartilage grafts and then smooth out your nasal bridge. In some cases, all this is combined with work on the nasal bones to realign them, and finally, work on your nasal tip to further refine it. Most commonly, the tip cartilage needs to be reshaped and then the tip can be made longer or shorter based on your nasal and facial profile. 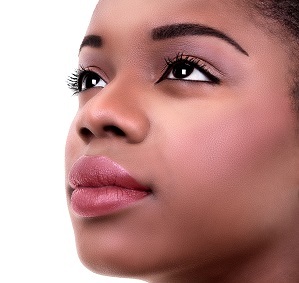 Some African-American noses, for example, need to have their nostrils narrowed to reduce their flare. The procedure commonly takes two-and-a-half to three hours to perform depending on the complexity of work to be done during the surgery. After the surgery, a splint is placed over the nose to hold the nasal bones in proper alignment. Dr. Panchal does not pack the nose, as it is very uncomfortable for the patient to breathe through it. The splint stays on for seven to ten days. All of Dr. Panchal’s rhinoplasty surgeries are performed under general anesthesia at an outpatient surgery center in Oklahoma City or Edmond. During your initial consultation and the time leading up to your surgery, we can answer any questions you may have about planning and recovery from rhinoplasty. During your initial consultation, Dr. Panchal will ask you specifically what you dislike about your nose and if you have any difficulty in breathing or a previous injury. He will also take note of your ethnic origin, and determine what aspects of your nose could benefit from correction. Genesis Plastic Surgery has added special software that allows us to take your photograph and digitally simulate changes to various aspects of your nose. As Dr. Panchal makes the corrections on the computer monitor, you will have an idea of how each aspect of the procedure will change the final appearance of your nose. You will then be able to compare your current shape of the nose with the new nose and that will help both you and Dr. Panchal set realistic expectations. Planning is extremely important for this surgery. This is where artistry and precision combined with experience count a lot. So choose your surgeon wisely. Following rhinoplasty, there may be swelling over the nose for seven to ten days. There may be also some bruising around the eyes. This will disappear in about two weeks. Some swelling may persist for up to three months, and you may not know how your nose actually looks until the end of time. The incision under your nose will be visible as a red line for around two to three months. In the vast majority of the cases, the incision is barely visible after six months. Sometimes there is an irregularity of the bridge of the nose. Most of these bumps settle very quickly. In rare cases, the nose may deviate as the swelling on the inside of your nose settles. Rarely, you may require some revision rhinoplasty to correct minor abnormalities. You reduce your risk for complications by closely following Dr. Panchal’s pre and postoperative advice. These healthcare financing companies offer competitive rates and promotional plans, some starting at 0% APR, and can be applied for at the links above. We can provide you with additional information about these services during your initial consultation if financing rhinoplasty is an attractive option for you. How Does Dr. Panchal Differ from Other Nose Surgeons? A board-certified plastic surgeon with over two decades of experience, Dr. Panchal is a skilled and dedicated rhinoplasty surgeon who takes time to personalize results for optimal impact. Former Chief of Plastic Surgery at the University of Oklahoma, Dr. Panchal has not only performed hundreds of rhinoplasties for cosmetic reasons but has done a much larger number on children and adults who have complex birth defects like cleft lip and head and neck abnormalities. Most of these patients have tissue missing at birth and therefore require a very complex and technologically challenging procedure. Dr. Panchal has received several awards and distinctions including a Super Doctor listing and “Top Five Cosmetic Surgeons in Oklahoma. Genesis Plastic Surgery & Medical Spa has also been selected as the “Best Place to Get Cosmetic Surgery in Oklahoma City” in the Oklahoma Gazette Best of OKC. Dr. Panchal has attended multiple courses to hear the world’s best surgeons and keep up with the latest and the best techniques in his field. 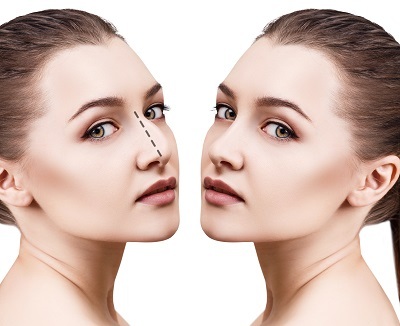 He has also incorporated unique software into his practice that allows him to modify nose shape prior to the surgery so that you can have a better idea of your final results. All these methods significantly reduce the need for any revisional surgery. If you are considering nose surgery in Edmond, Norman, or surrounding areas of Oklahoma, Please call Genesis Plastic Surgery & Medical Spa at 405-340-9949 to schedule your consultation with Dr. Panchal today.